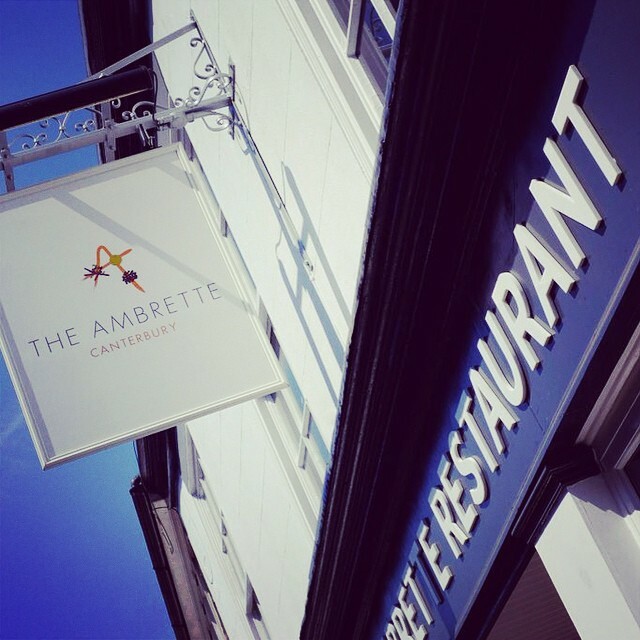 Not far from Canterbury High Street, in what was formerly a sticky floored boozer, is The Ambrette. Miles of dark wood meet the eye as you enter, punctuated by colorful floor tiles and the glow of candlelight. The cavernous room has been cleverly designed to feel cozy while still allowing enough space between the tables for comfortable conversation.